Got Milk? This is one of the most defining catch phrases of the 90s has now changed to Got Milk Alternatives? The communication campaign saw a resurgence in dairy consumption not just in the US but the world over due to the clones it inspired. But the fortunes of milk suddenly turned over in the new millennium with the emergence of a new conscious consumer. With the rise of veganism and environmental concerns about the dairy industry, milk alternatives have become a huge hit with young consumers. Just walk down your supermarket aisles and you’ll see soy, almond and coconut milk alternatives nestled comfortably alongside dairy. Globally, Milk Alternatives sales grew at a +7% CAGR over the last 5 years, one of the top 15 fastest growing food categories in value terms, and one of the top 3 in volume growth(Source Euromonitor). No wonder giants like Nestle and Coco Cola are jostling to become the kings of the milk alternatives market! But which one to choose? We’re here to give you the complete lowdown on dairy vs milk alternatives from the sustainability point of view. Why is milk the bad guy now? All your childhood your mum drove you crazy to have milk. The glass of milk was the symbol of health & nutrition- the superhero that’ll save you from all ailments and make you stronger. We’ve all grown up believing milk is crucial for bone health- especially women. I know how many times I’ve been threatened by my mum that if that glass of milk was not finished I’d be down with dire sounding things like arthritis! But now, you’re bombarded with 11 reasons why you should totally avoid milk! So what changed? Various studies have been published, most especially by environmental think tanks, revealing that milk may not actually be as good as they say for us. One of the arguments forwarded is that humans is the only species that drinks milk in adulthood. You see milk has growth hormones which are super for infants but these are not needed once growth is achieved and can actually be counter productive in adults. Then there is the lactose intolerance. Ok so I’ve always considered myself lactose intolerant from a psychological perspective (!!!) 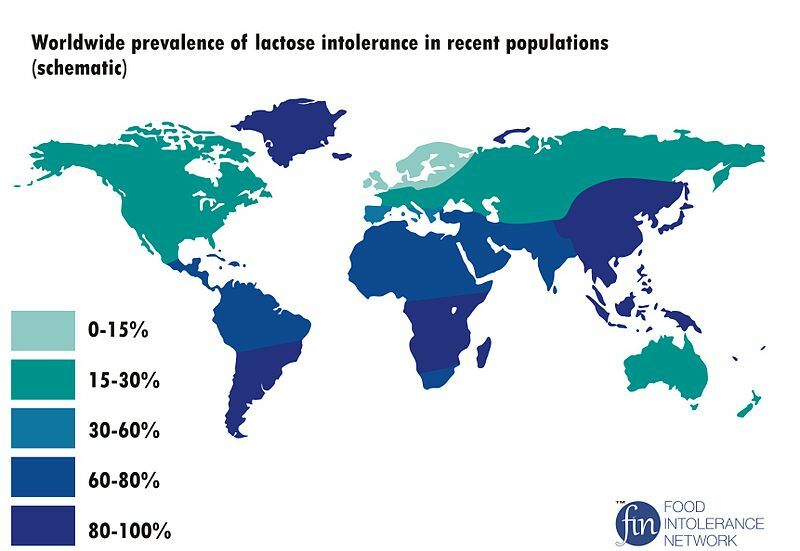 but turns out 3/4 of the world is really lactose intolerant! Cow’s milk contains a sugar called lactose that can be difficult for people to digest, resulting in symptoms such as nausea, cramps, gas, bloating, and diarrhea. Milk is also a significant cause of allergies worldwide… indeed it is the biggest allergen for young children within food. Then there are other factors that have become unpalatable to the new consumer- fat content vs nutrition, unethical treatment of animals in the dairy industry, new studies linking diseases like bone deficiency, cancer etc to dairy milk. And another factor has been carbon footprint of the dairy industry. A UN report in 2006- Livestock’s Long Shadow proved to be game changer for milk and dairy. This report claimed that livestock was accountable for 18% of worldwide greenhouse gas emissions. Though brought under the scanner collectively by the dairy industry and a lot of contrary reports claimed there was a flaw in the report linking the meat industry to global warming, the damage had been done. Here’s all you need to know about what’s the carbon footprint of the meat and dairy industry. Vegan lifestyle has anyway been on the rise with ‘veganism’ pitted as the healthier, more ethical and sustainable lifestyle choice in the age of yoga and meditation. And this further encouraged people to turn to milk alternatives. Why even Ben & Jerry’s has a vegan line now! But what are these vegan alternatives and are they sustainable choices vis-à-vis milk? Milk Alternatives is a category of food and beverage comprising “milk” derived from plants or trees- grains, nuts, pulses or legumes. Some of the more popular milk alternatives are derived from soy, almond, walnut, coconut and rice but there are more like peanut, hazelnut, macadamia nuts and hemp. In addition, soy drinks (a combination of soy milk and fruit juice) are frequently treated as Milk Alternatives. Hebei Yangyuan (China) is the largest player in global milk alternatives followed by White Wave. These are considered more healthy because most plant-based milks have lower calories, lower fat, lower sugar; no cholesterol or growth hormones; and provide more Vitamin D and Calcium. They are best suited for lactose intolerance and milk allergies especially in Asia. Consumers are paying increasing attention to the nutritional content of what they consume and research indicates that younger generations today are more willing to pay a premium for healthy food than older generations. And because they’re plant based, milk alternatives are largely considered sustainable and ethical. Now this is where we step in. Ethical these options certainly are because no animal abuse is involved. But just how sustainable are milk alternatives? And are milk alternatives really sustainable? There is much documented about vegan options being the healthier and more sustainable choice. In the past we’ve brought to you vegan and cruelty free protein alternatives to meat. So what’s the real deal with milk alternatives being sustainable? And this choice is far more than being just about organic vs inorganic. There are more factors to be considered when it comes to sustainability- water footprint (how much water used), carbon footprint (what pollutants are emitted and transport), how the base ingredient is farmed etc. Soy Milk for instance is made from soybeans mostly grown in US, Brazil and China. It is mostly imported to other parts of the world for soy-milk production. So that’s a huge carbon footprint. But in terms of water footprint, soy typically uses 28% the amount of water used for dairy production- 297 litres of water to produce 1 litre of soy milk (more in inorganic farming). And this can be further brought down by choosing locally grown whole bean organic soy milk. Almond milk is a big favourite but most countries don’t grow almonds- actually California grows 80% of the world’s almonds. Freighted around the world, almond milk therefore has a big carbon footprint. Also almond plants are also water guzzlers- have to watered all year long. Again locally grown almond milk options instead of imported options (which are far less sustainable) are available on your supermarket aisle. Coconut milk is the most eco-friendly milk alternative requiring less water and is grown almost all over the world indigenously. But the drawback is that its high in saturated fat so not the option to go for everyday! Rice derived milk alternatives are not sustainable at all because rice farming is one of the most water intensive in the world- 1kg of rice uses approximately 3000 litres of water. The new species of less water consuming rice are all GMO which is again controversial when it comes to sustainability debates so organic is still preferred. 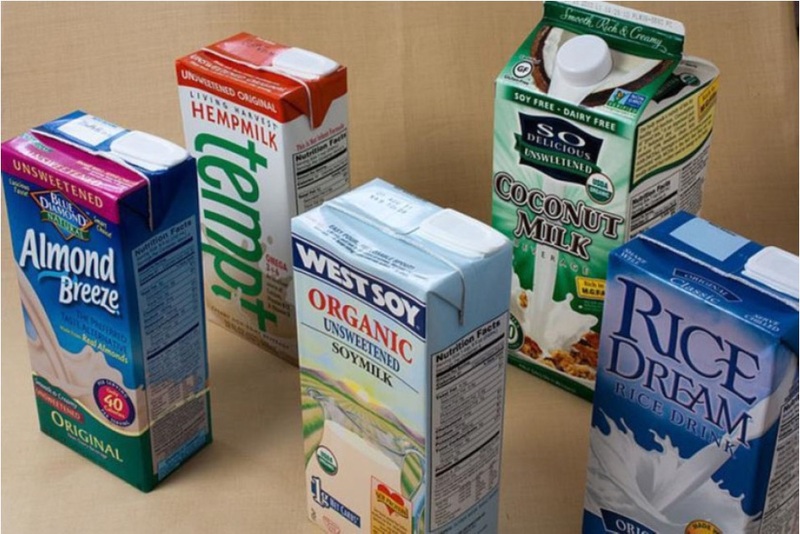 MILK ALTERNATIVES OVER DIARY: Because they’re healthier and definitely more sustainable. These plants/ trees are more abundant in nature and quickly regenerate. 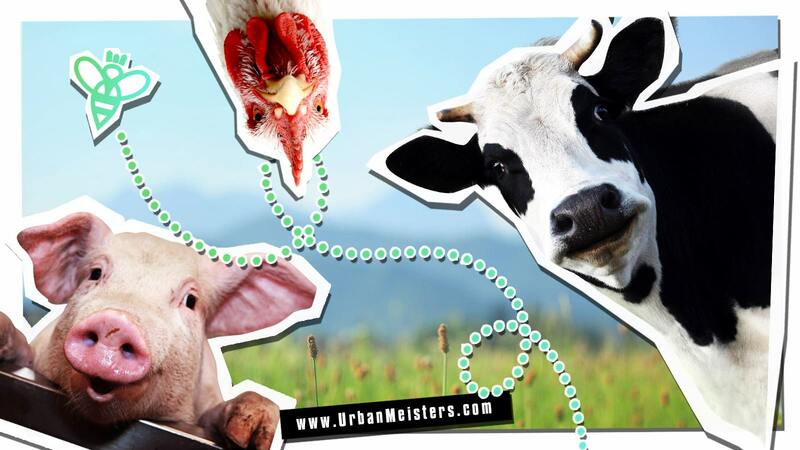 They use lesser resources(water) compared to dairy and even emit lesser pollutants. Even after considering how easy or difficult it is to grow plants in regions vis-à-vis transporting them, milk alternatives are still more sustainable milk choice than dairy. BUY LOCAL: We have to be careful while choosing our milk alternatives. Don’t get swept up in greenwashing and read the carton to choose the most sustainable milk alternative carefully. Local organically grown and produced products is the way to go. So more power to the Buy Local movement. BALANCE SUSTAINABILITY WITH NUTRITION NEED: While coconut milk is most eco-friendly option it may not be the nutrition you need so choose according to the dietary requirement you may have. Though try not to go for rice!